Tasting review: Eye: Deep mahogany, light and shiny Nose: Powerful, great clarity. Tones of banana, scented undergrowth, and spices Palate : Round, balanced, with delicious woodiness and depth. Long, long after taste. It was back in the year 1952 that the newlyewed couple, Jeannine and Jacques Chollet, fell in love with a small farm near the town of Cognac. The pair were certainly entrepreneurs of their time, and the 10 hectare small-holding in the tiny commune of Boutiers St-Trojan soon became their new home. This certainly presented them with a challenge, which they rose to admirably. Back in these days there was no heavy machinery or technology to assist them–faming their land was all down to personal hard graft and that of their two horses, Mirka and Baillard. Youth, optimisim, sweat, and tears saw the couple invest, take risks, and help forge a path forwards to success, as well as raising many eyebrows as they brought change and techological advancement to the region. Indeed, when they had a telephone installed in 1960, it was the very first in the area. They were assigned with a phone number of simply, 2. When they soon after purchased a Renault D30 tractor, many locals began to fear for their financial survival. But in despite of this suspicion (or perhaps because of it), these and their other investments began to pay off. They purchased new land and vineyards, and eight children later, Jeannine and Jacques began to further expand. With help from family and friends they built a distillery, and in 1971 their first Cognac was produced. 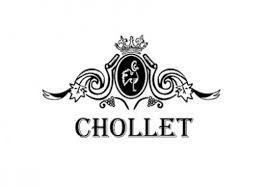 Today Chollet Cognac is in the capable hands of Bertrand and Christope Chollet, sons of Jeannine and Jacques. The founding couple continued to work both their Cognac business and agricutural buinsess until it was seperated in 1995. And in 2008 they retired. The hard work continues, courtesy of Bertrand and Christophe, who've both inherited the passion, skills, and entrepreneurial spirit from their parents. They work tirelessly in the production of their Cognacs, as well as having expanded the business to include offering bed and breakfast, and a camp site for motor homes. They also take their Cognacs to many high-end industry shows to further bring the delights of their Craft offerings to a global community. One can only imagine how hard it must've been for Jeannine and Jacques back in the 1950s. Not only were they, strangers to the area, setting up in a very close knit and hard to infliltrate network, but they were also bringing never-before seen technology to the playing field! It was no wonder they were looked upon with, one would imagine, a fair amount of hilarity and much suspicion. But hooray for trail blazers such as them. Because without such forward thinking spirits, no industry would ever progress. Today the majority of the Cognacs produced by Chollet are a Napoleon quality and above. One notable offering is the Grande Champagne Altesse Extra, which was awarded the Gold Medal in the 6th Challenge to the Best French Spirits for Asia 2017. The house of Chollet Cognac can be visited during the summer from Monday to Friday. Opening hours are 8:00 am to 12:30 pm, and 2:00 pm to 7:00 pm. Saturday visits are possible but by appointment only.